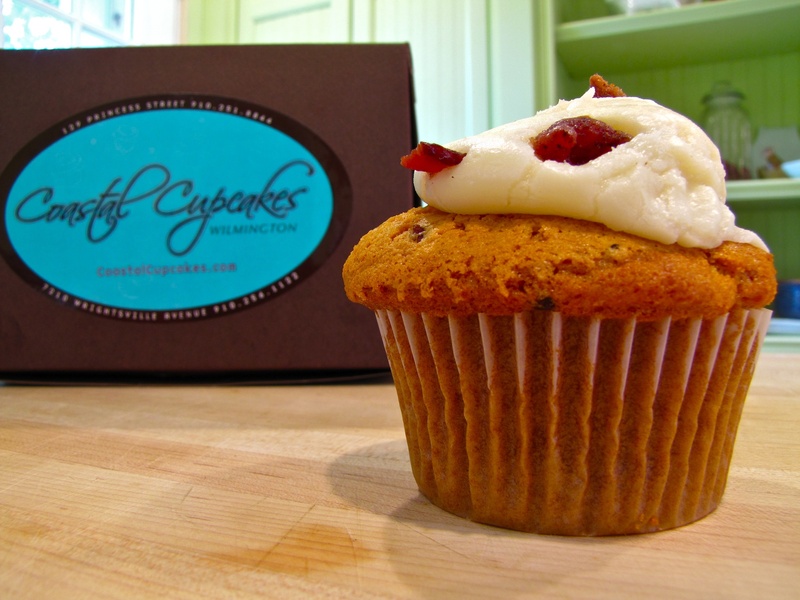 I heard about it yesterday--Coastal Cupcakes was making a bacon cupcake. Could it be true? 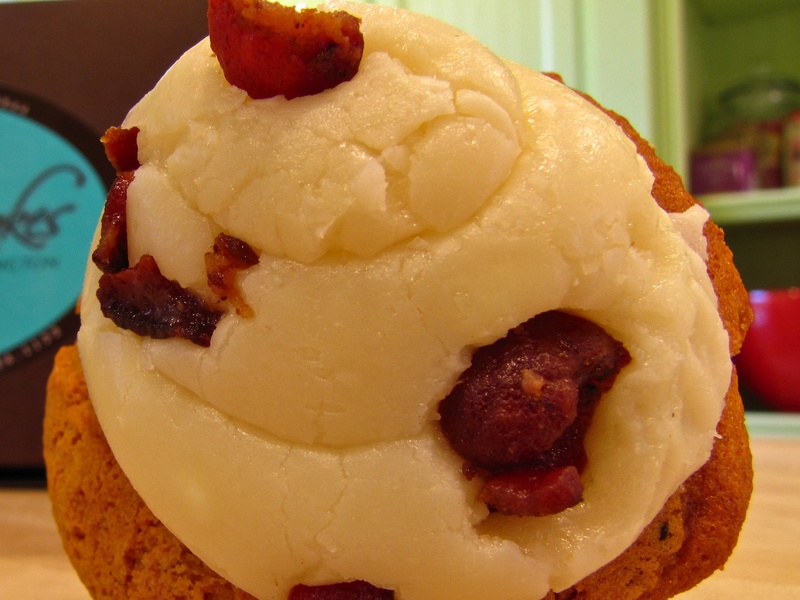 Could some mad genius really combine cupcakes and bacon, finally bringing together two of man's greatest foods? Friends, they did. And now I can (almost) die a happy man. I thought that Kevin Gillespie was the only one with the love of bacon and the chops in the kitchen to do this, but I was wrong. 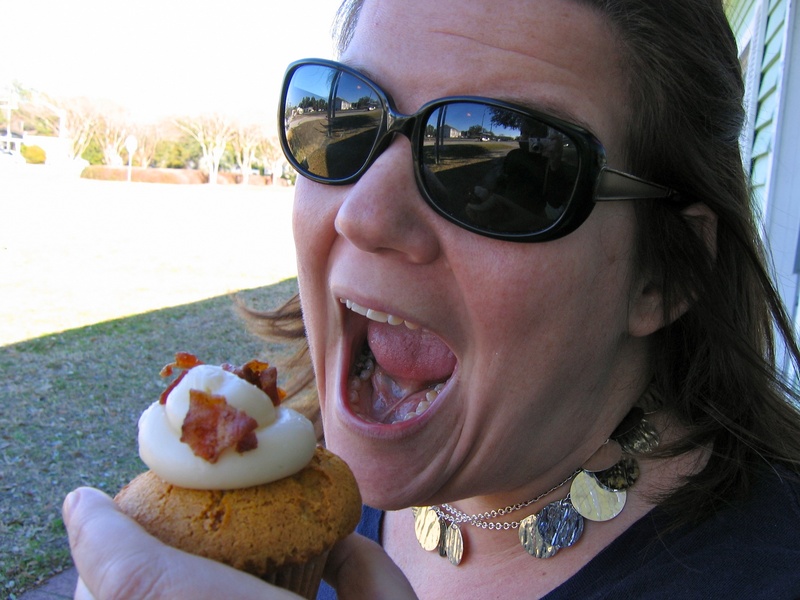 The cupcake was a pancake cupcake with maple flavoring and bacon inside (yes, inside). 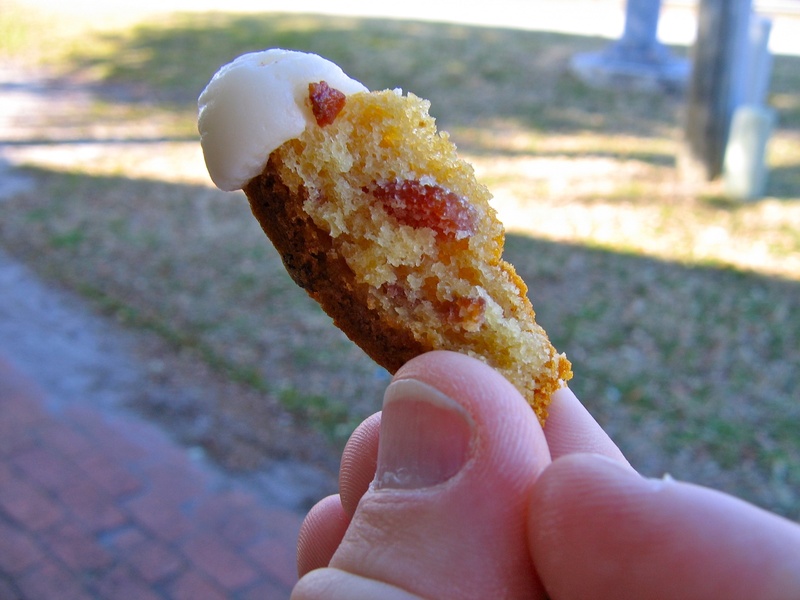 The frosting was cream cheese with generous bites of bacon laid on top by the tender hands of angels. And it was good. Really good. The only things that would push it into greatness are these: more maple flavoring, perhaps in the frosting, perhaps a maple-cured bacon; more bacon. Yeah Tom Colicchio, I said it, more bacon because bacon makes everything better. Lauren and I met at Coastal Cupcakes' Wrightsville Beach location this afternoon and procured two of these beautiful bacon cupcakes. We ate one as soon as we got outside. I took the other one home to photograph and eat by myself. The bacon cupcake was awesome, but, for me, the ultimate would be the brownie topped with crunchy peanut butter, but the crunch would come from bacon. Then and only then will I be able to die a happy man.